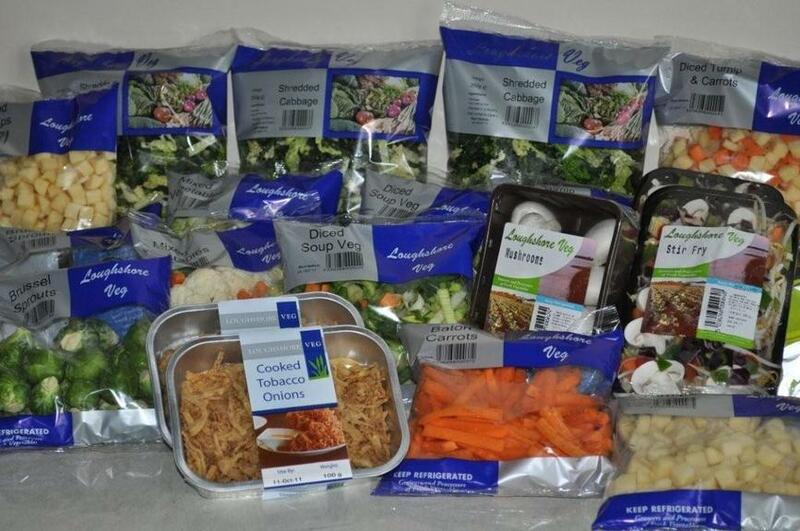 Loughshore Veg Ltd produces prepacked vegetables and supplies large supermarket chains. The company invested in new buildings and machinery and was able to increase its capacity, improve staff working conditions and create jobs. Pat Cushnahan began growing vegetables in the rural area of Derrylaughan near Coalisland in 1986. In the 25 years since then his family company Loughshore Veg Ltd has focused on prepack whole vegetables such as carrots, parsnips, whole soup veg and pre-packed prepared vegetables. The changing nature of the market from independent shops and supermarkets to large supermarket chains has meant the company is constantly developing its system to supply the larger chains. The main goal is to develop and expand the company's capacity to meet the demands of large supermarket chains for prepack whole vegetables by installing new machinery and equipment and building new premises. Other related aims include guaranteeing a quality service to customers, and enhancing working conditions for the company's employees. Purchase and installation of additional machinery and equipment to reduce the amount of manual handling in the production system. Extension of the company premises through construction of new buildings to improve facilities and the working environment for employees. Sales have increased dramatically. Staff numbers have also now increased from seven in 2007 to almost 30 in 2011, while employees now work in new improved premises with up-to-date machinery and equipment. In addition, the expansion of the company is expected have spin-off effects with opportunities for primary producers to expand to meet the increased demand. In a difficult economic climate, it is important to begin to secure the required funding from banks early enough as it can take a long time - potentially at the expense of the investment. It's also important to have technical knowledge and "contacts knowledge", implying there "are people to talk to who will listen to you". And it is easier to carry out successful expansion investments if you have the experience and a good market position already.